GENEROUS PRICE REDUCTION. 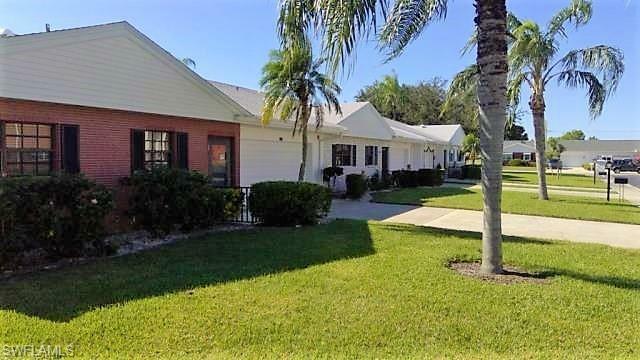 Motivated Seller.Welcome Home to this BRIGHT, LIGHT & AIRY, LAKEFRONT property, in the HIGHLY SOUGHT AFTER COMMUNITY OF MYERLEE.This popular, centrally located, 55+ community offers all the best of Southwest Florida's lifestyle favorites. Enjoy friends and fun under the sun as you live in this lovely, 2 CAR GARAGE, villa-type home, which features an electric roll down bug screen on the garage. A NEW ROOF (2018), NEWER A/C (2013), & ELECTRIC STORM SHUTTERS on back of the Florida Room windows round out this inviting property's allure. LAKEFRONT VIEWS from almost every room in the home welcome you and your guests to the serenity of this 55+ community. 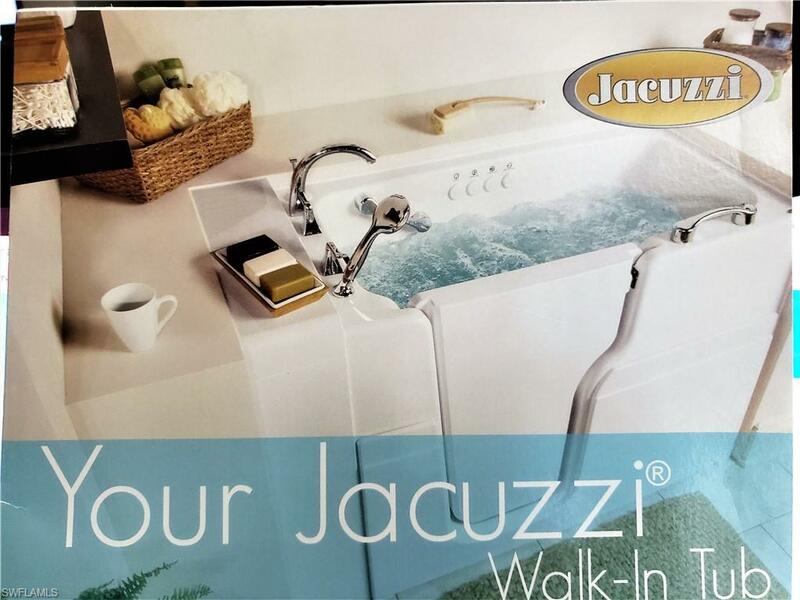 An EXTREMELY UNIQUE JACUZZI WALK IN TUB (2015--$16,000 Investment) offers therapeutic, whirlpool jets and air injectors for the ultimate experience in SAFE, HOME HYDROTHERAPY.Your monthly condo fee INCLUDES: CABLE, INTERNET, WATER, SEWER, BUILDING INSURANCE, TREE TRIMMING, LAWNCARE/LANDSCAPING, POOL PRIVILEGES, SHUFFLEBOARD, PICKLEBALL AND TENNIS COURTS, EXERCISE ROOM AND COMMUNITY ROOM. 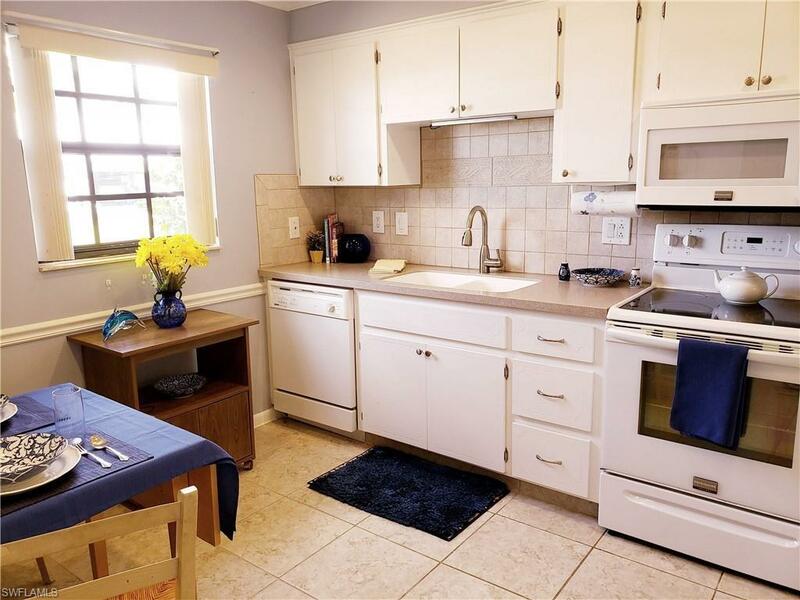 Truly a great value for the monthly $475 fee!Please note: No pets permitted. 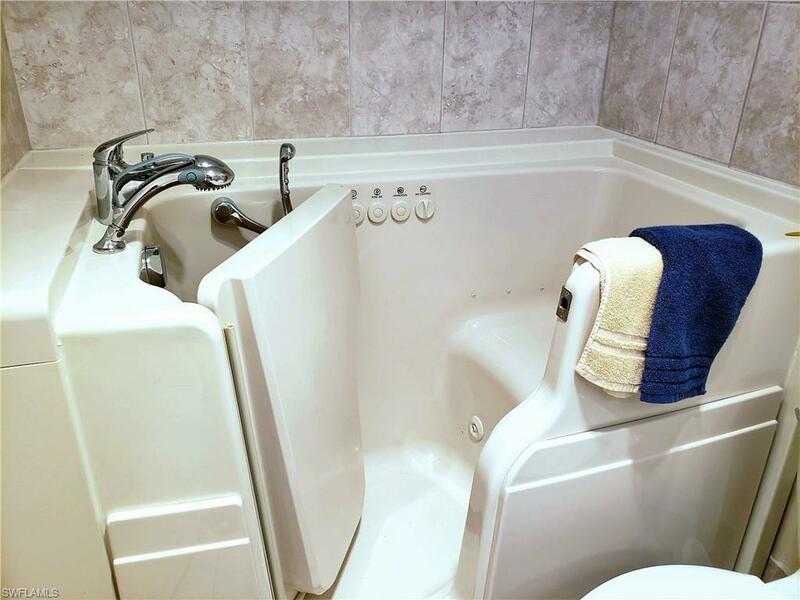 Listing courtesy of Tina Marie Kucera of Rossman Realty Group Inc.